From the 285-hp V6 to the 355-hp and 420-hp V8 options, the Chevy Silverado 1500 specs leave nothing to be desired! What's on the schedule for the day? Choose between 5' 8", 6' 6" and 8' box lengths to accommodate cargo of any size. High-tech Chevy trucks keep you up-to-date while on the go with available features like Android Auto, Apple CarPlay, and 4G LTE Wi-Fi. When you need to carry serious cargo, take advantage of the available trailering technology like Tow/Haul Mode and Trailer Sway Control. No matter which of the Chevy truck models you choose, you’re in for one wild ride. Models like the Work Truck, LS, LT, and Custom feature that signature Chevy Silverado 1500 performance with plenty of options to fine-tune your dream truck. If you need a powerhouse for off-road adventures, try Chevy trucks like the High Country, LTZ, or LTZ Z71 for a supercharged driving experience. 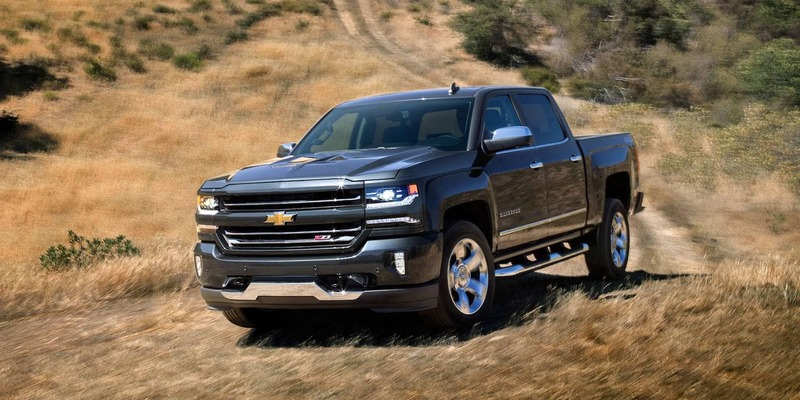 Want to find your perfect match among the Chevy Silverado 1500 trim levels? Head to Libertyville Chevy, near Waukegan and Gurnee. Compare the Chevy Silverado 1500 to the Ford F-150.